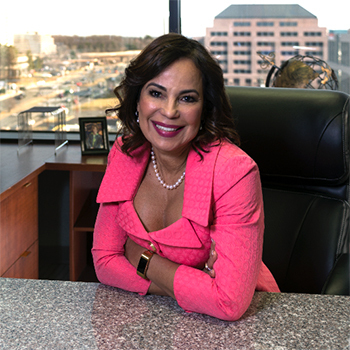 Ms. Torres is Managing Partner of Global Law, PLLC and Founder, President and CEO of Global Tax and Global Financial Enterprises. Ms. Torres is a veteran tax attorney with 20 years of experience in U.S. and international tax matters. She started Global as a tax preparation and financial services business providing tax planning, bookkeeping and accounting services to individuals, small businesses and corporations, and led the firm from start-up to a multi-state operation with eleven offices and more than 11,000 clients. Now Global provides legal representation to corporations and small businesses on tax matters, including analysis of complex situations, implementing cost-effective, tax saving plans, mergers and acquisitions, tax reporting for Subpart F income for foreign corps. Global is an authorized [Authorized filers to electronically file through crime network – All reporting for FIN (Financial Income ) and FICEN.114 (formally FBAR) and BSA form.] We also provide professional IRS representation to small business and individuals for audits, negotiated settlements and offers in compromise. A Venezuelan native, Ms. Torres is a highly accomplished entrepreneur, business owner and executive manager with domestic and international experience in business operations, profit and loss management, multi-channel product distribution, acquisitions, and positioning and strategic planning with startup and established organizations. Ms. Torres is a sought after public speaker who has hosted her own radio show, and is regularly featured on Univision and Telemundo Television as an expert in taxes and economic matters. She was awarded the Number 1 Gold Award for Creative Hispanic Advertising in 2008 for a Global Tax advertising campaign.